HAPPY DONABE LIFE - Mrs. Donabe's Rustic Japanese Kitchen: DONABE Cookbook on Media! I am extremely humbled and honored that my first cookbook, DONABE - Classic and Modern Japanese Clay Pot Cooking, has been receiving great reviews in media recently! In some of the very prominent newspapers/ publications, DONABE Cookbook made in each one's short list of top cookbooks. 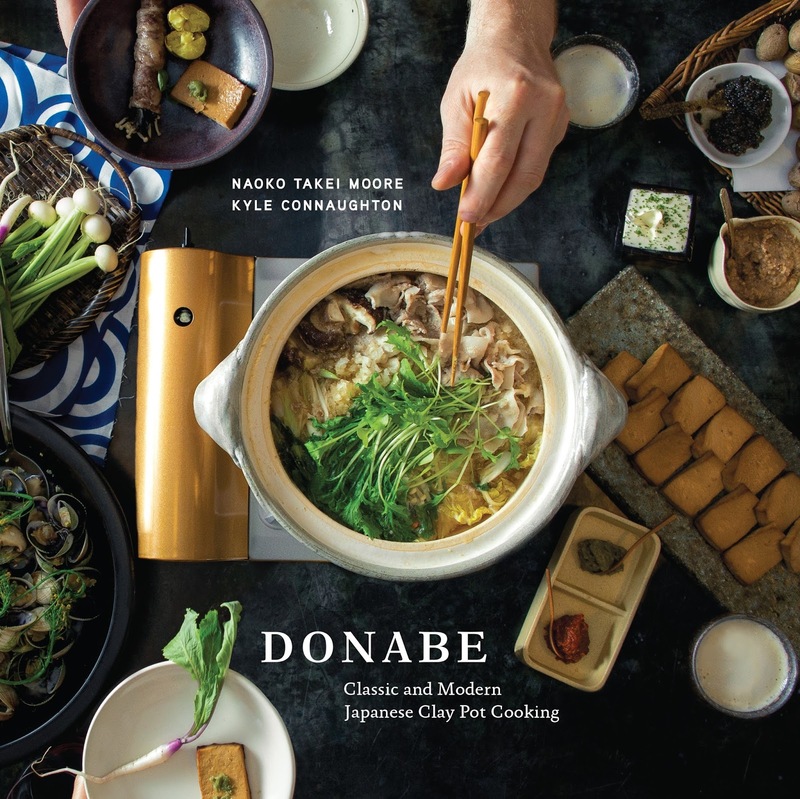 San Francisco Chronicle chose DONABE Cookbook as "The Top Cookbooks of 2015"! 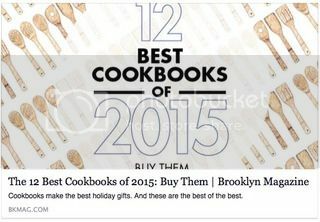 In Brooklyn Magazin, DONABE Cookbook is selected as one of the "Best Cookbooks of 2015"! They even said their selections are "the best of the best"!! 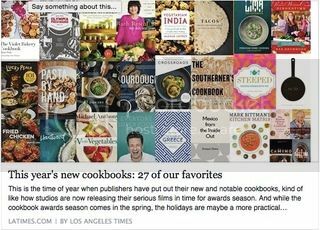 Los Angeles Magazine called DONABE Cookbook as one of their favorite new cookbooks of this year! 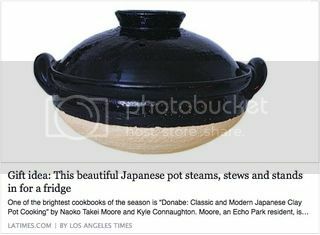 And, in the same week on Los Angeles Times, our donabe steamer, "Mushi Nabe", was introduced as their gift recommendation for the holiday season. Wow, thank you so much, for all the support!! All the articles are written very nicely, so please check out these links.